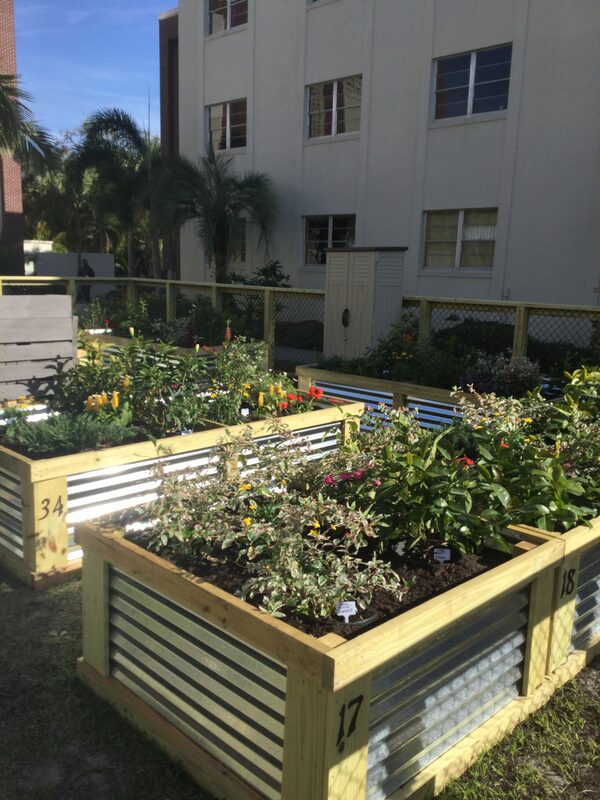 The grand opening of Florida Tech’s new Ethos Community Garden just happened to fall on alumna Laura Holty’s homecoming. That’s quite serendipitous for this former sustainability major. Holty had just moved back to town to start her new job at Northrop Grumman. So of course, she couldn’t miss the garden’s debut. She was excited not only because it offered a terrific platform for hands-on learning, but was also a move toward increased sustainability-based endeavors campus wide. While sustainability is certainly her passion now – it wasn’t always on her radar. The idea that she could make a real difference in the world solidified her decision. “I decided on a sustainability degree because I liked the mixture of diverse sciences and wanted to make our world a better place,” Holty said. And she hopes to do just that in her new position at Northrop Grumman. She credits her education at Florida Tech for preparing her to enter today’s workforce. She also credits a special mentor with inspiring her to succeed. As a student, she and others worked together on an awareness program aimed at electronics recycling. “For her senior sustainability capstone project she worked to improve awareness of the procedures and process for electronics recycling,” Lindeman said. This meant installing the proper signage and instructions throughout campus. The recycling program, which allows for sustainable disposal of many electronic items, was already in place at Florida Tech for some time – but making her fellow students aware of it and improving the delivery system was the goal. And it’s not just the Earth she is passionate about.